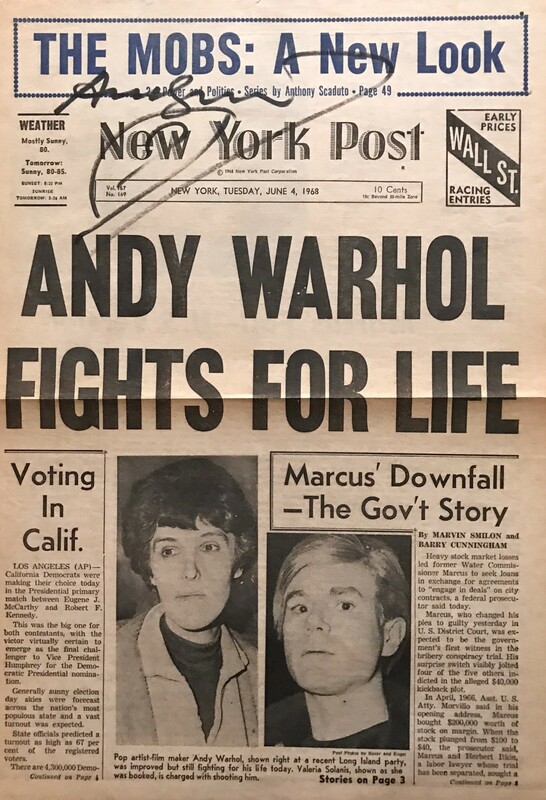 Original frontpage of New York Post - June 4th 1968. Signed and with drawing. 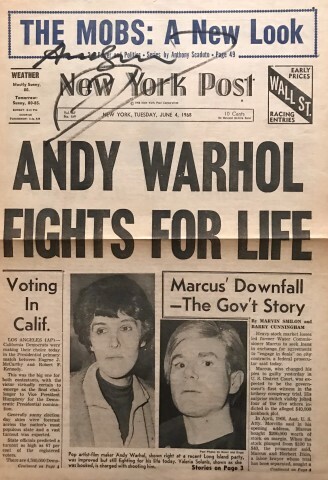 Frontpage of New York Post June 4th 1968. 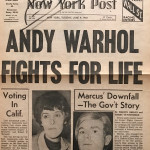 Andy Warhol Fights for Life. 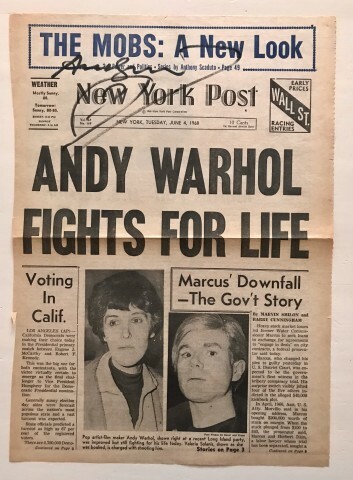 Signed by Andy Warhol around 1978. 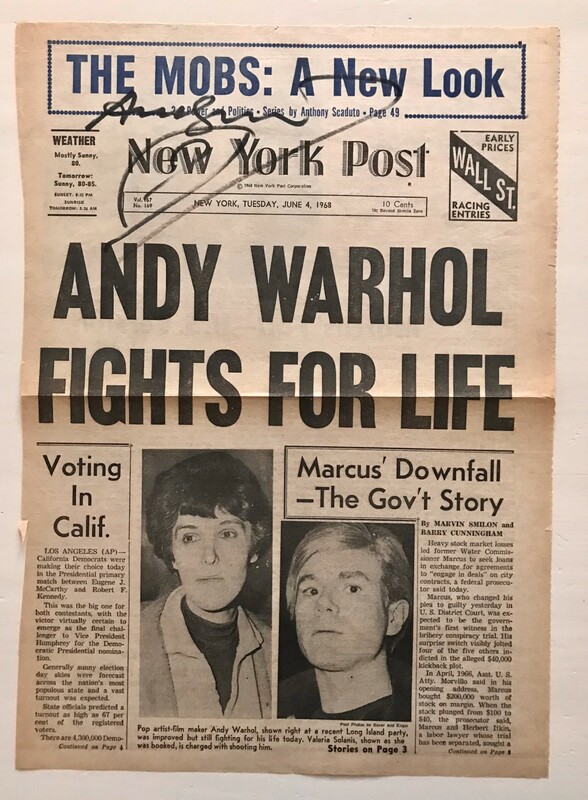 An iconic front page boldly signed by the artist. 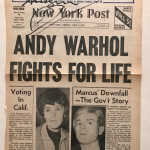 Plus page 3 with the story.